Earlier this week the EMS Division of the department received official word a request for grant monies was approved by The Wawa Foundation. The charitable foundation of the local convenience store chain has three main focus areas when supporting organizations with grant monies. These areas are health, reducing & eliminating hunger, as well as supporting everyday heroes. 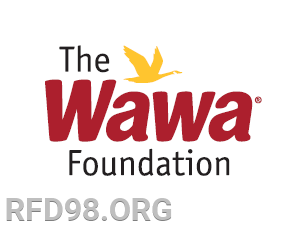 From their website: "The Wawa Foundation will support and celebrate our everyday heroes, including crisis responders, individuals serving in our military and our veterans. We are committed to helping and enabling those who serve – we call them “Everyday Heroes.” Wawa is service oriented, so it’s natural for us to lend a helping hand to those who serve and protect. The men and women of the U.S. Armed Forces help us enjoy freedoms every day, and we are honored to do our part to provide our support to organizations that enrich and uplift our troops and their families. We’re also committed to first responders like local firefighters and police officers for all they do to keep the communities that Wawa serves safe and secure." The EMS Division requested grant monies to offset the purchase of the new medical bags deployed in the ambulances to streamline patient care and make our system more efficient reducing costs and wasted medications. 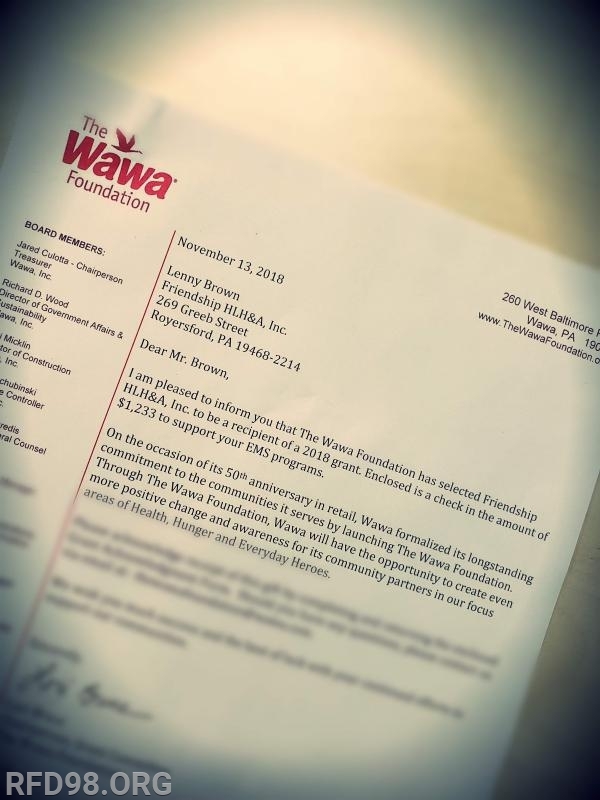 The Royersford Fire Department & Friendship Ambulance cannot thank The Wawa Foundation enough for their generosity and commitment to supporting the mission of not only first responders but the many great organizations in the area.